Christian ackerman has performed mime over 20 years using the art of pantomime, dance, slapstick comedy, and impressions. He has worked with the Mountain FM Stage at the Western Montana Fair, a number of Churches, Special Events, and for over 10 years with First Night Missoula. He does mime routines to music and yes--get's stuck in a box from time to time, he does the robot, break dances, and much more. His comedy is for all ages. He has placed in talent shows and has been featured on Missoula Community Access Television on TV and in the Missoula Homecoming Parade. He performs funny silly routines and also performs dramatic mime pieces as well. People say it is like watch Chaplin, Jim Carey, The 3 Stooges, and a Cartoon Character all in one. He is lots of fun and can be featured at one of your events. 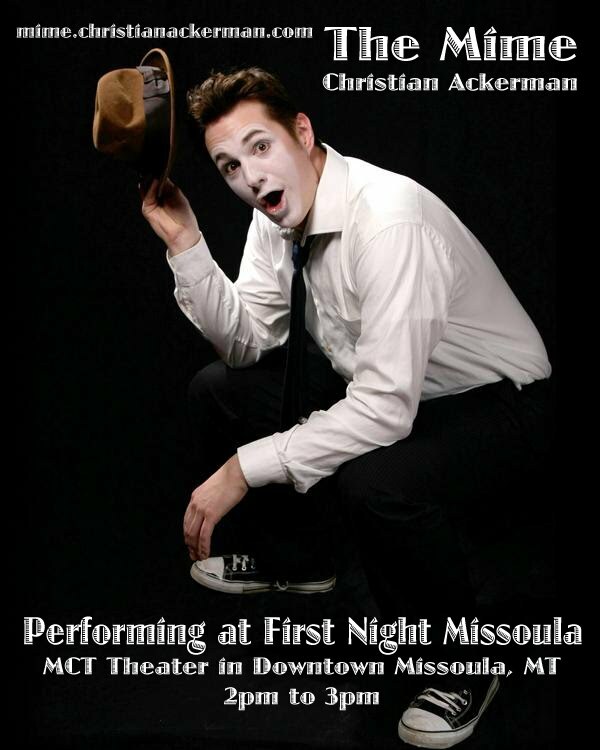 The Mime "Warehouse Jumble Featuring Christian Ackerman"
The Mime "New Years Eve Special Featuring Christian Ackerman"
Being with First Night Missoula has been a joy and a wonderful experience. 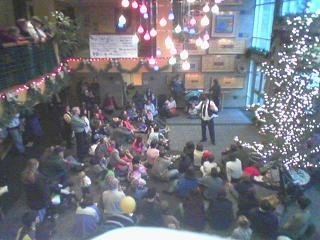 About 13 years ago, I did my first show with First Night and have loved it ever since. I've performed mime for a total of 20 years and the performances I've done here in Missoula have been the most memorable and enjoyable. I've met tons of people over the years and on one of my show nights met someone special. This young girl came up to me after the show with her family and told me how she loved every minute of my act. Her family explained to me that she was hearing impaired. So, she signed to me and impersonated some of my routines that she loved. I didn't need an translator to know that she enjoyed the performance. And, she didn't need translation to enjoy my pantomime routines. That was very special to me, and I will always remember that night. Now, I always look forward to seeing who I'll meet at my next First Night Missoula performance.